With the KaZAM Balance Bike, your little one will never have to use training wheels. Try it and you'll understand why both toy experts and parents agree that KaZAM is the best balance bike and easiest way to teach kids to ride a bike. Parents spend countless hours teaching their children how to ride a bike. 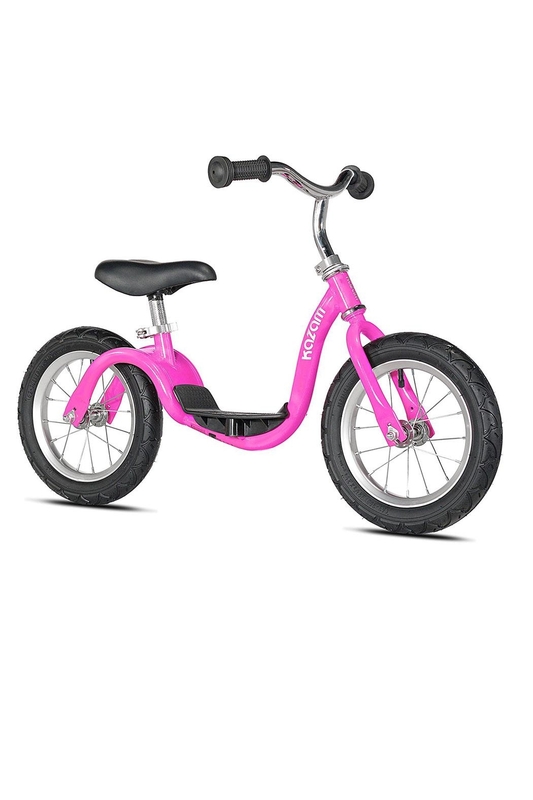 When buying a training bike, most parents choose pedaled bicycles with training wheels. Training wheels may seem like the easiest way to learn to bike, but training wheels do not teach kids balance or proper bicycle steering. 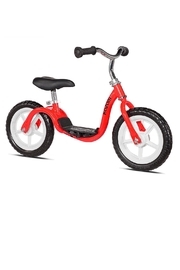 A bike with training wheels may even be dangerous since it can topple over if a child rides over uneven ground or turns a corner too quickly. 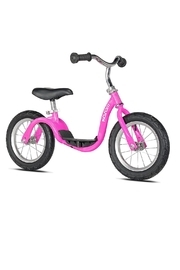 Many parents struggle with weaning their children off of training wheels, and some kids use training wheels for two or even three years before finally learning how to ride a bike. If you want to teach your kids to ride a pedaled bicycle quickly and safely, try the balance-first, pedal-next approach to learning to ride a bike. 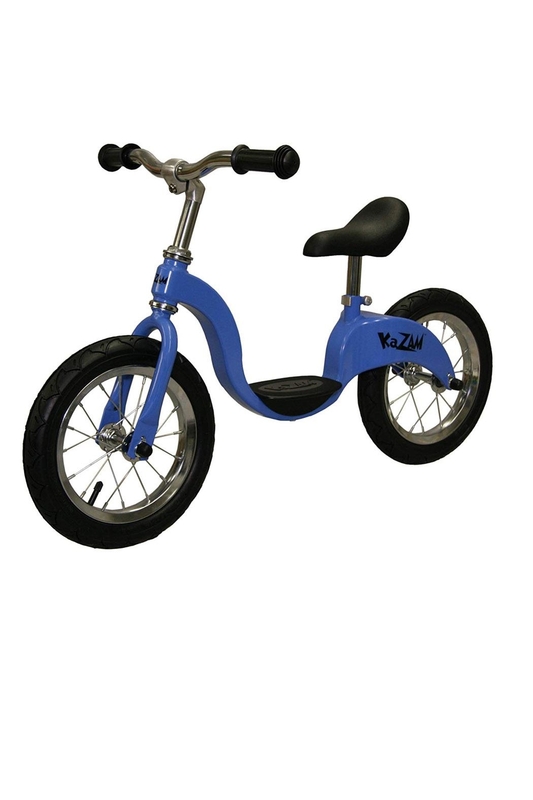 KaZAM bikes are the ideal training bikes because KaZAM teaches children how to balance and steer a bicycle. KaZAM is the only balance bike on the market uniquely designed with a foot rest. Children lift their feet up naturally and position them on to the foot rest maintaining proper balance and center of gravity similar to riding a traditional bicycle. KaZAM teaches kids coordination and balance and prepares them to ride a pedaled "big kid" bike. Experts agree that KaZAM is the best training bike. You may have seen KaZAM on the NBC Today Show in May 2010. Toy expert Stephanie Oppenheim shared the best toys to get your kids moving and rated the KaZAM Balance Bike as the best in its category. Some assembly required.